There’s just about time to catch the Tsars exhibition at V&A before it closes this weekend, worth a look for the fantastic military jackets. I’ve long been interested in military inspired fashion, epitomised by Jimi Hendrix’s over-the-top brocade. Military themes have also inspired knitwear design – the ‘Heroine’ oversized felted coat from Twist Collective, ‘Revolution’ from Knitty and Veronik Avery’s Military Cardigan from Knitting Classic Style . Kim Hargreaves’ new summer book Breeze is out today, and there’s a sneak preview of Rowan Studio 15, full of summery designs, on the Jannette’s Rare Yarns blog. I’m particularly fond of the ‘Flotsam’ sweater with asymmetric hem. 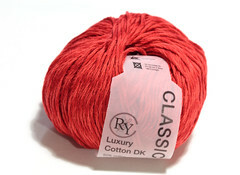 Kemps Wool Shop have RYC Luxury Cotton DK for the amazing price of £1.39 / ball if you’re thinking of a springtime re-stash.